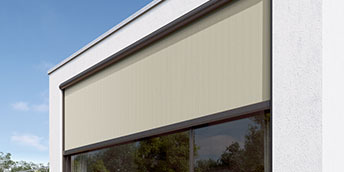 Samson offer a wide range of external vertical cassette blinds with a choice of over 150 fabrics to select from, including a range of perforated fabrics providing shade but also enabling vision through the fabric when closed down. The aluminium cassette housing and channels are finished in a choice of colours with optional non standard RAL colours available to perfectly co ordinate with your premises and surroundings. Everyone loves the sunshine but from time to time it needs controlling either for the intense heat or intense glare particularly on South and West facing windows, doorways and patios. 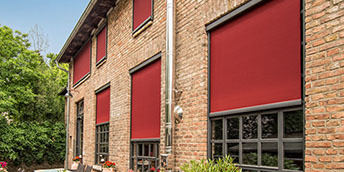 Our range of high quality fabric blinds provide very controllable shading over doors and windows as well as providing protection from the wind, especially when ‘zip’ blinds are used. The technology and workmanship in our blinds is second to none and all the blinds are made to measure to the millimetre. Controlling the temperature by controlling solar heat can only mean less energy is used inside to cool your building. 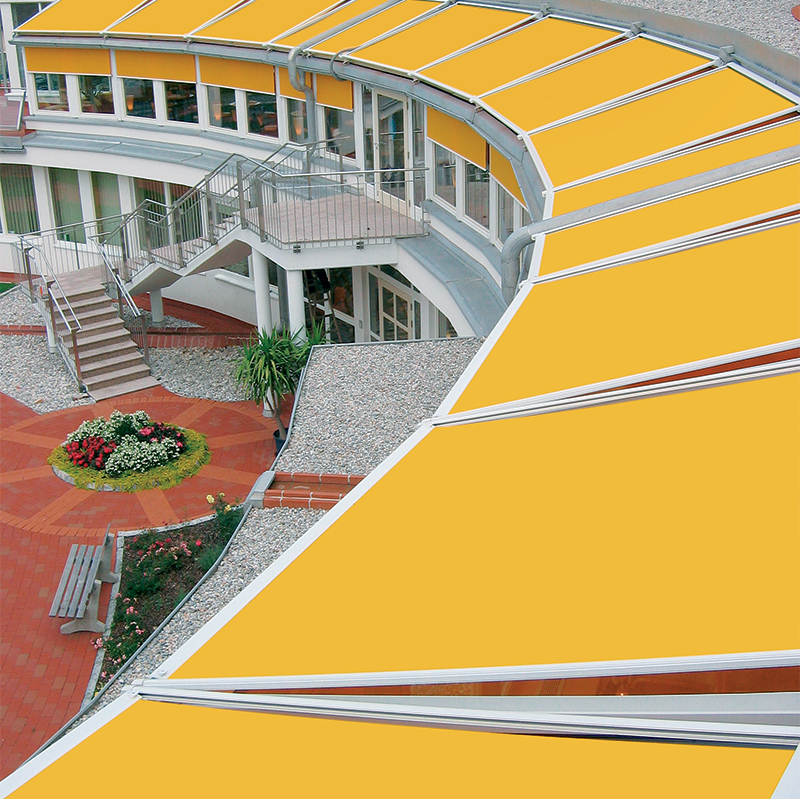 Choose from either oblong, square or round cassette shapes for the curtain roll housing and various shaped channels, guides and brackets for the installation and structural surrounding integration. 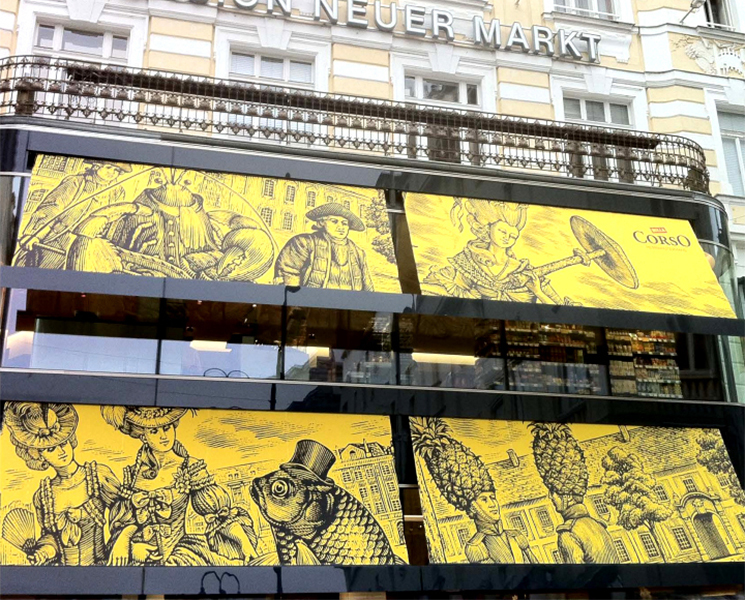 The fabric curtain is guided vertically using either cables, stainless steel rods or the ‘zip’ system which is the most stable and weather proof system having the fabric actually zipped into the side channels, so no light, wind or rain can get past. 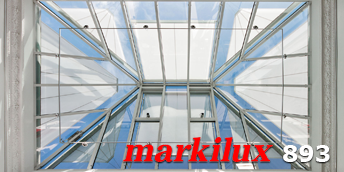 The range of Markilux vertical blinds we supply and install can enable windows and patio doors to be opened whilst the blind is lowered for protection from the elements. Certain models use a tensioning system to ensure the fabric is kept taught whilst the zip system stops gaps at the sides. Being tensioned of course means a higher wind rating for more use all year round. 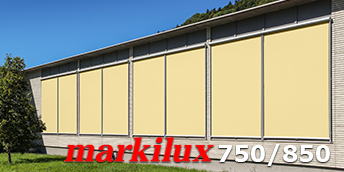 Optional fly screens can be incorporated, such as in the Marklux 660 zip model. The various vertical blinds can be either manual or electrically operated and as the major use for these blinds is covering large windows and doorways the electric option always is the best method for ease of operation and also to enable controls to be utilised. 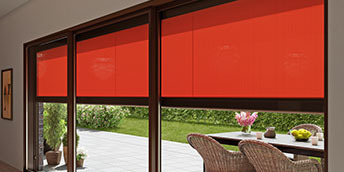 Sun sensors, wind sensors, electronic timers, remote controls and other accessories all help to make the vertical blinds able to look after and control themselves depending on the environment. When a manual system is specified there are gearbox options to reduce the stress in the manual winding mechanism and operation can be from outside or inside the building. 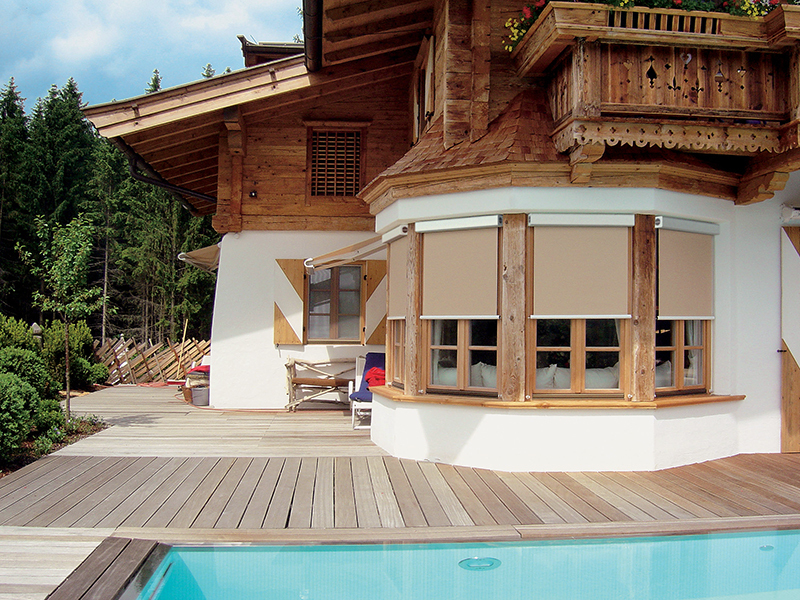 External vertical blinds are probably one of the most versatile sun shade products in all the options we offer. 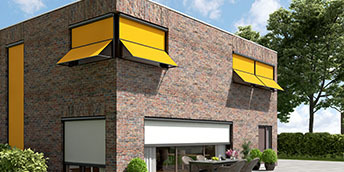 They can be used to shade windows, doorways or patios but from the outside rather than the inside to stop the suns heat even getting to the glass and therefore controlling the temperature much better. 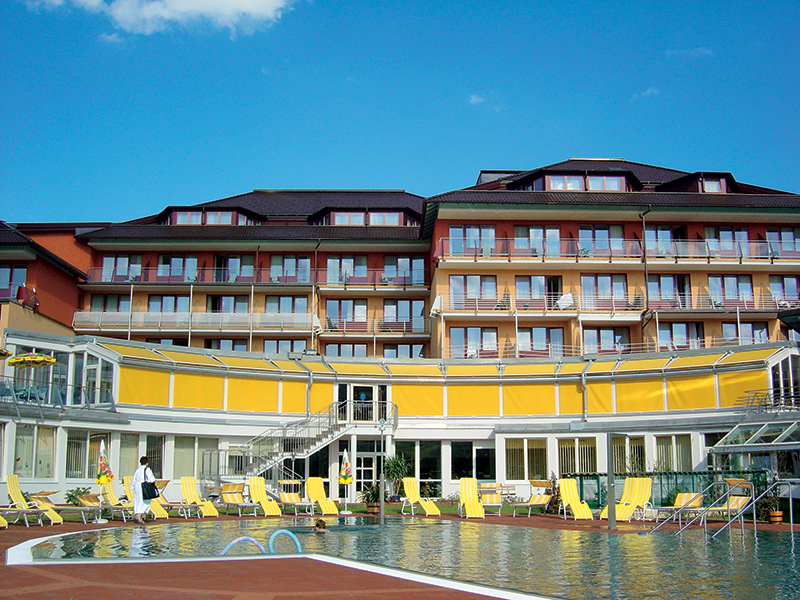 The added advantage of controlling rain and wind is obvious for many commercial applications. 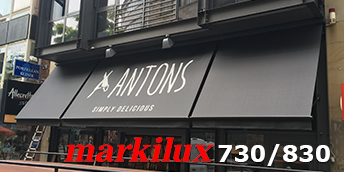 The larger model options in the range enable the vertical blinds to be used for closing off the sides of pergola roof systems and many other products on offer for a roof protection outdoors. 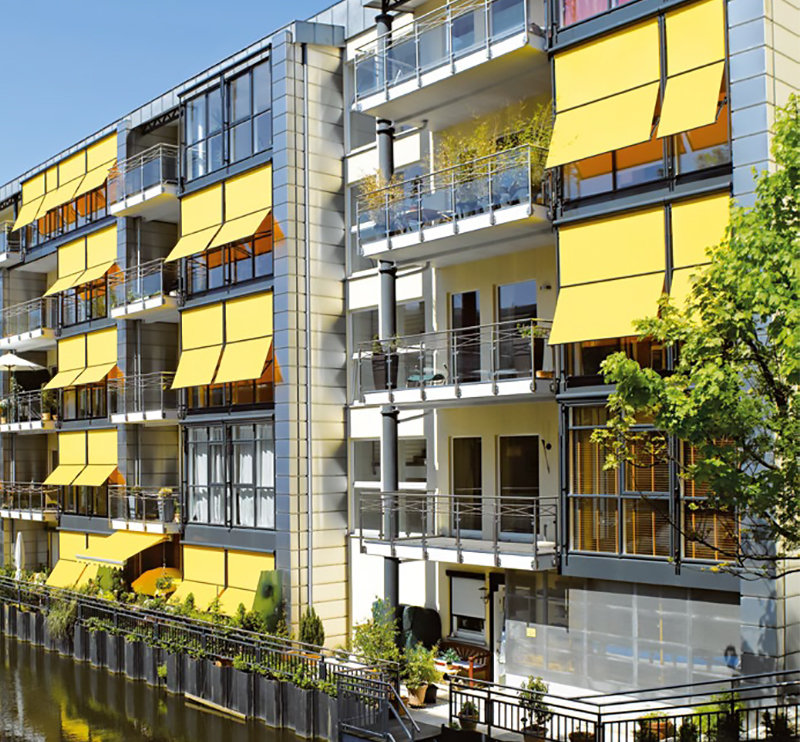 The vertical fabric blind, especially when using the transolair or perfotex fabrics, will offer very good protection for outdoor areas shielding from sun, wind and rain when required but making the area still bright and airy. 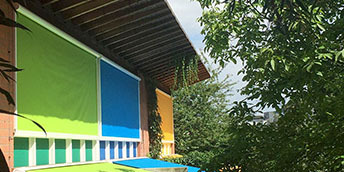 Various cassette blinds can be used horizontally using the same zip technology but for protecting glass or polycarbonate roof systems and shading from midday sunshine. 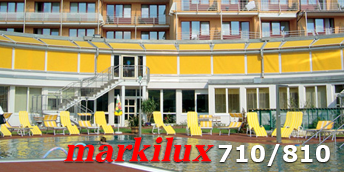 See the Markilux 780 or 880, the 889, the 8800 and the 8850 for good examples of this. There are under glass and outside mounted blinds for use as conservatory awnings as well as any roof shading. 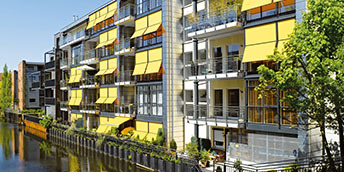 Many of the vertical blind models are used for side or front enclosures on out outdoor room and glass room systems for shading, wind and rain protection or just privacy. 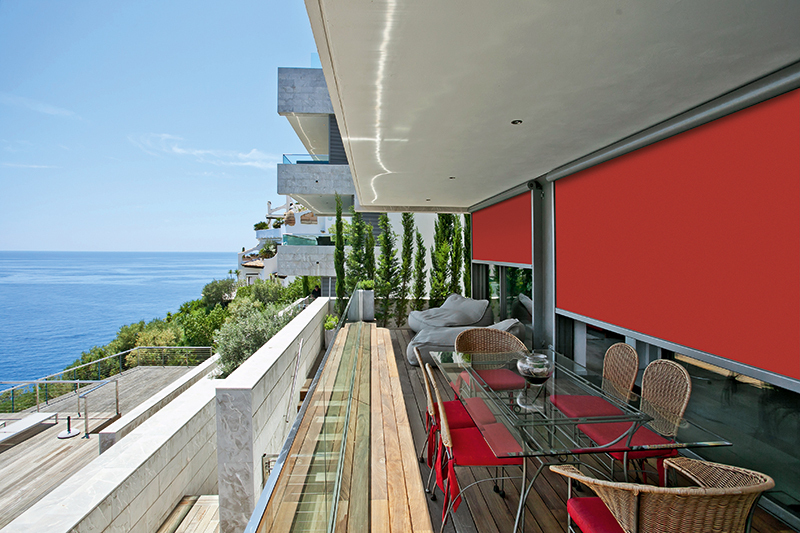 As these blinds are so strong and for outdoor use they can be adapted for so many applications. 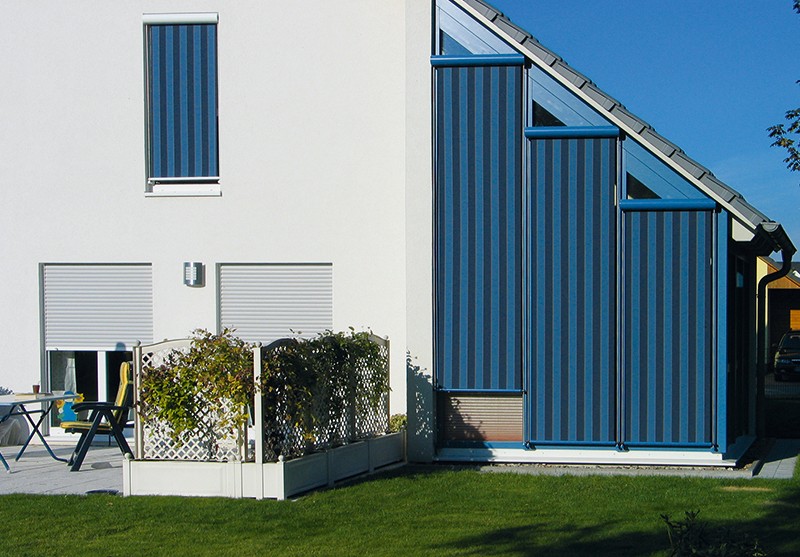 The vertical blinds for window and door shading can be manufactured up to 6000mm in width and 6000mm in height. At this size the blinds are ‘zipped’ for stability of the fabric and most of the non zipped models are made to 4000mm wide and 3500mm high. All the blinds are manufactured to the millimetre for a perfect fit and with the various cassette housing and guide sizes and shapes the blinds can quite often be incorporated into a scheme with minimal or no impact whatsoever visually and when not in use.